On Lake St. Croix, the mile wide portion of river alongside which camp sits, St. Corix campers gain skills that can take them anywhere. The First Mates program is designed to give an introduction to basic sailing skills and techniques on optimist-class boats. 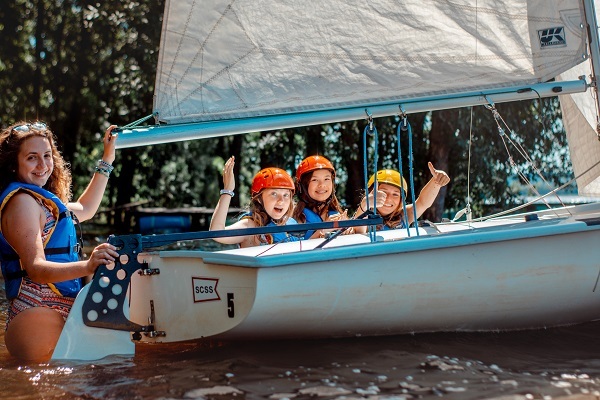 First Mates spend a portion of each day receiving sailing instruction and the rest of their time participating in traditional camp activities. Our Windjammers graduate to 420s and a variety of other keelboats. The highlights of the Windjammer program are training sessions with the St. Croix Sailing School, a regionally renowned youth sailing academy. 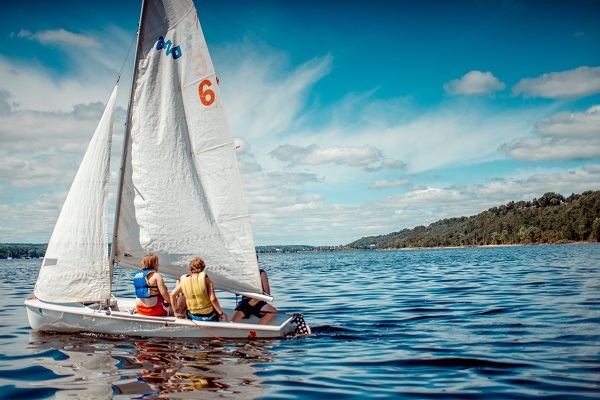 Mariners, our Leadership Development Program that combines rock climbing and sailing, brings campers to the Apostle Islands, Lake Pepin, and Isle Royale. In partnership with Saint Croix Sailing School. Build skills and go on both sailing and climbing trips.